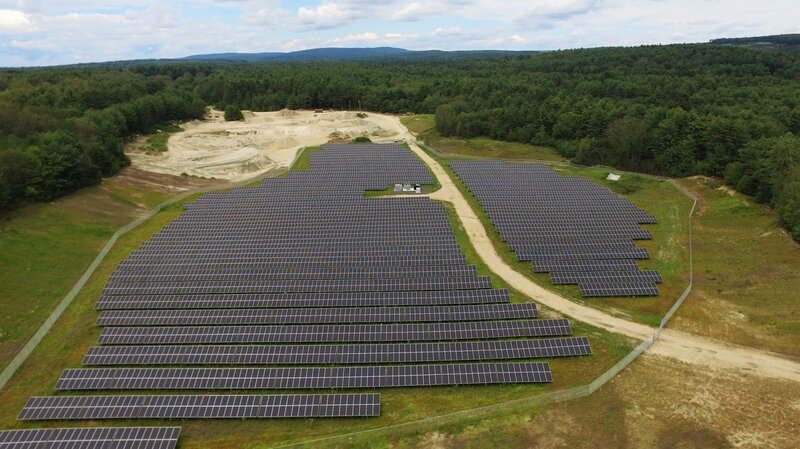 Nexamp's largest community solar project to date, Belchertown Renewables is a 5.1 MW array located on a former sand pit and Christmas tree farm in Belchertown, MA. Over 170 local residents, small businesses and non-profits will realize meaningful utility cost savings through Nexamp's Solarize My Bill™ community solar program. The remaining half of the project's production will generate electricity bill savings for UMass Memorial Health Care, a local non-profit healthcare network. As it is the largest healthcare network in Central and Western MA, freeing up operational dollars to improve services across the organization will make a tangible difference for the thousands of residents who rely on UMMHC care. In total, the project will return nearly $3 million to MA residents by feeding clean, renewable energy onto the electric grid.